Inspired by the organic imperfection of nature and decay, Lacee Norris launched Lacee Alexandra, a jewelry collection that embraces these forms in a sophisticated, wearable way. Lacee’s artistic nature was apparent at a young age when she spent time in her grandmother’s studio painting miniatures. In 2008, she began studying fine art and design at California State University Long Beach and enrolled in her first jewelry making class on a whim, igniting a passion for what would eventually become her career. 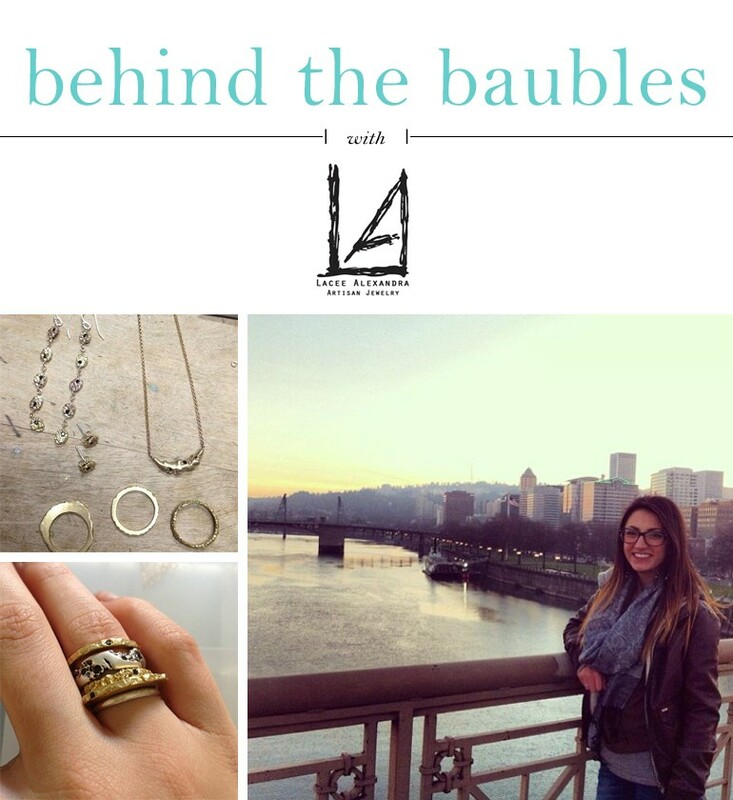 Lacee still resides in Long Beach, hand crafting her collection with sterling silver, 14k gold, black spinels and black diamonds. Lacee is offering B&B readers a 30% discount through April 29! Just use code BAUBLES at checkout!